N-dimethlytryptamine, or DMT, is a psychedelic tryptamine that is structurally similar to serotonin. 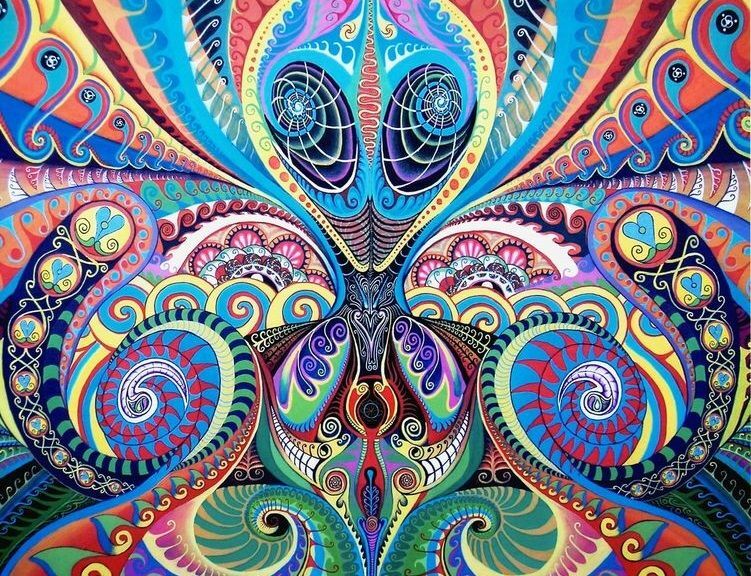 DMT occurs throughout nature in many plants, animals and the human body. 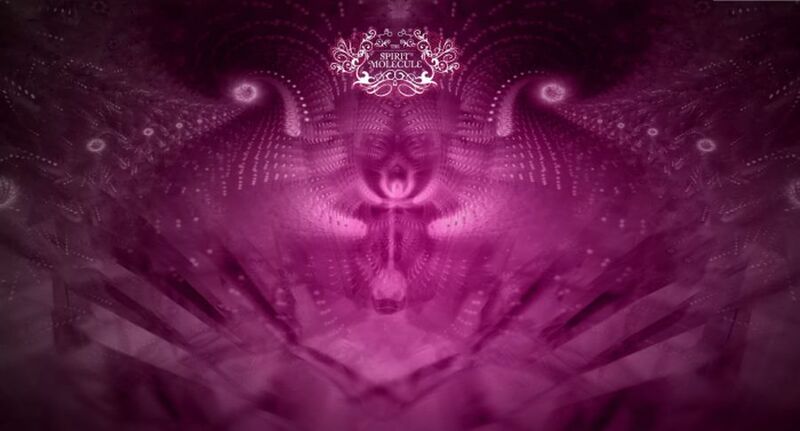 DMT is a powerful visual psychedelic which results in short-acting yet intense effects when smoked. However when used in combination with compounds that inhibit the bodies ability to break down the compound, such as in Ayahausca, the effects can last much longer in duration. DMT is currently a Schedule 1 substance within the United States. In 1990 Dr. Rick Strassman initiated the first psychedelic drug research involving human volunteers to take place in the United States in over 20 years. During this research a total of 60 human volunteers received around 400 doses of DMT at the University of New Mexico’s School of Medicine in Albuquerque. Dr. Strassman published the results of these trials in his famed book DMT The Spirit Molecule which offers theories as to the effect of DMT in the human body, as well as the extreme altered states of consciousness that the volunteers were launched into upon administration. The book raised just as many questions as it offered answers, antagonizing the philosophical and scientific arenas of human consciousness, perception and even dabbling in the realms of alien abduction and dark matter. DMT is potentially one of the most intriguing and question-kindling psychedelic compounds in existence, catalyzing ripples of enthusiasm in religious, medical, psychological and psychonautical circles. I spoke to Dr. Strassman about the future of DMT research, what direction it could possibly take, and his own personal views on where this path could lead the individual as well as the collective. 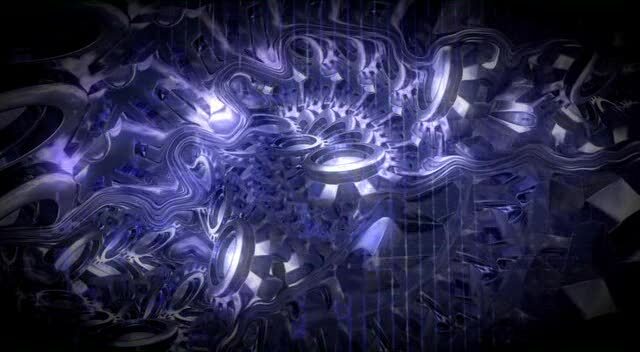 Luke Sumpter: Dr Strassman, you work at the University of New Mexico is the most detailed DMT research in existence. What were some of the key conclusions you made about the nature of DMT in correspondence to human consciousness over the 5 year period? Dr. Strassman: We found that fully psychedelic doses of DMT reliably induced in a group of normal volunteers a fairly consistent experience. This was characterized by a sense of dissociation of consciousness from the body, and entry into a world of light that was extraordinarily fulsome, interactive, and laden with information. In addition, there seem to be intelligent, sentient, usually quite powerful “beings” with whom the research volunteer actively communicated. My sense of these phenomena is that people entering into the DMT world are apprehending something more or less external to themselves, while at the same time, the degree of clarity of that apprehension is dependent on the individual consciousness of the experiment. Positing a spectrum of inner/outer in this regard, one may be seeing only a reflection of one’s own mind-brain complex in the DMT visions at one end, and at the other, apprehending previously invisible but objectively real and freestanding alternate levels of reality. Luke Sumpter: Based upon these conclusions, how do you envision the future of DMT research? Dr. Strassman: There are many futures to DMT research. One involves understanding the brain mechanisms that are activated in consequence of a fully psychedelic dose of the substance. Another is to determine levels of DMT activity in non-drug altered states of consciousness that share features with the DMT state: psychosis, dreams, near-death, meditation. One could also administer DMT to people who have experience with these non-drug states and have the same individual compare them—this would provide additional data in support of the theory that endogenous DMT is involved in the non-drug states. I would like to see research done with a continuous infusion of DMT, say, over several hours at least, which would allow more extensive exposure to the state, and at the same time, provide a titration in and out of the state in order to provide instantaneous feedback to the research team. I also would like to see research take place with Ayahuasca, as this seems to provide a uniquely beneficial context and/or beta carboline synergy with respect to healing in contact with non-corporeal realities. Luke Sumpter: Do you regard DMT might harbor a clinical and therapeutic potential? If so, for what disorders could the molecule be of medicinal use? Dr. Strassman: Depending on the clinical or therapeutic context, the classical psychedelics, including DMT, have a number of potential uses. One of my pet projects is that I would like to see a head-to-head comparison between MDMA and sub-psychedelic doses of the classical drugs (LSD, mescaline, psilocybin, DMT) to determine how similar they are and whether the latter could be used instead of the former in clinical trials. I have concerns about the neurotoxic effects of MDMA and if it turns out that sub-psychedelic doses of classical drugs are as effective as MDMA for the treatment of conditions that MDMA is being used for at this time, we would be able to carry out such research with less concerns for long-term neurological sequelae. That being said, there are a plethora of clinical conditions for which psychedelics had been used with promising results in the 50s and 60s: depression, obsessive compulsive disorder, autism, psychosis, personality disorders (including antisocial), prisoner recidivism, the pain and suffering associated with terminal illness, alcoholism, opiate dependence, other substance abuse/dependence disorders, and post-traumatic stress disorder. And these are just the psychopathological conditions. In the field of increasing wellness, there were some promising data suggesting beneficial effects on creativity using LSD in the first wave of research, and there is a London project beginning to confirm and extend those seminal studies. In addition, using psychedelics to enhance religious sensibilities and depth of experience has been a long-standing interest within the research and the lay community, now being looked at carefully by the group at Johns Hopkins. Luke Sumpter: The DMT experience seems to raise some very challenging and baffling questions in regards to the current paradigm revolving around the nature of human perception and consciousness. Do you think this molecule has the potential to transform the way science views our place in the universe and how we perceive it? Dr. Strassman: DMT seems to be involved intimately in human consciousness. DMT in the bloodstream, produced by the lungs, appears to be taken into the brain across the blood-brain barrier using energy. This is a treatment afforded to only a few substances that the brain requires for normal function that it is unable to synthesize on its own, such as glucose and certain amino acids. This suggests that normal brain function is dependent on the presence of a particular level of DMT, and normal brain function equates with normal consciousness. I like to think of DMT as being a reality thermostat, something that maintains homeostasis for perceptual, cognitive, emotional, and other mental functions. In addition, it appears that the genetic machinery involved in DMT synthesis is active in the retina. This suggests that in addition to a general effect on overall consciousness, DMT activity may also modulate our visual perception of the world. The ubiquity of DMT as an endogenous substance in the plant and animal kingdom, and its ancient evolutionary status, suggests that there is some commonality shared by all of these various organisms, perhaps providing some means of DMT-mediated communication. The relative simplicity of DMT also begs the question of its extraterrestrial presence, in which case it also may provide a communicative link between us and “them”. It also may be the case that if DMT provides access to alternate levels of reality, we could use it to probe into such exotic spaces now being conceptualized by theories dealing with quantum mechanics, hyper dimensionality, dark matter, and so on. Luke Sumpter: In The Spirit Molecule you speculate that the pineal gland could very well be a prime producer for DMT within the human organism. More recent studies have detected DMT production within the pineal of rodents. How would you desire these questions to be explored in future research? Dr. Strassman: We have known for over 50 years that the lungs make DMT. We now know that the pineal gland in living rodent’s most likely also does, but these data are only two years old. My sense is that the lungs are the main area continuously producing DMT, and that the pineal may contribute at certain times. There are relatively simple studies that could be done to establish the presence of DMT in human pineal. For example, tagging a precursor of DMT with a radioactive label, seeing if it is concentrated in the pineal. Pineal tumors and cysts are occasional in human beings, and these could be fresh-frozen during neurosurgical procedures, and looked at for the presence of DMT. Luke Sumpter: As well as looking at the DMT phenomena through a scientific lens, do you think there is value at glancing into our past to learn more about this molecule? 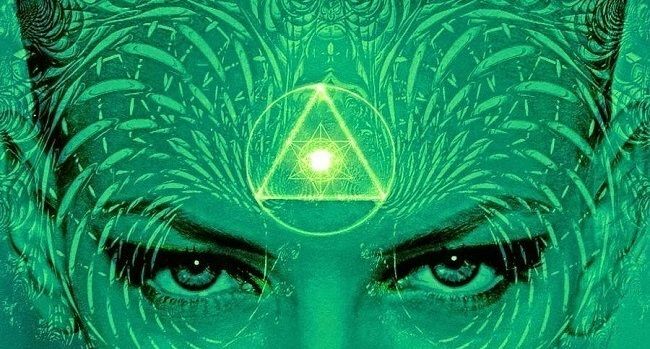 Mystical traditions seem to emphasize the importance of the pineal gland, altered states of consciousness and psychedelic vessels containing DMT or similar compounds. Do you think there is importance woven into these patterns? Dr. Strassman: My new book, “DMT and the Soul of Prophecy,” takes the DMT story into the realm of Old Testament prophetic experience. By prophecy I mean any spiritual state described in figures in the text, not necessarily requiring foretelling or prediction as a criterion. There are striking similarities in the phenomenological descriptions of the DMT and prophetic states and I use those similarities, and differences—especially in information content–to suggest how the mechanisms in both states may or may not resemble each other. Here I adduce the medieval Jewish philosophers such as Maimonides, who in their turn reduce Aristotle and the Neoplatonists. Their metaphysics is extraordinarily sophisticated and it may be time to revisit it in the context of looking at scientific explanations for spiritual states. There’s no need to look for an exogenous psychedelic or other mind-altering agents in the Hebrew Bible, for example, for this theory to hold water. The presence of endogenous DMT is a fact, and it is more likely that endogenous levels rose in those biblical figures than that they used exogenous substances such as marijuana, acacia, ergot alkaloids, and so on. I think such a search is a wild goose chase, especially because we already have such good data in hand regarding the endogenous presence and the properties of DMT. Luke Sumpter: DMT is currently a Schedule 1 drug. However, we know that DMT is manufactured within our bodies and that the compound has beneficial potential in the domains of scientific understanding as well as spiritual exploration. What do you think the reasoning is behind such policy? Dr. Strassman: A Schedule 1 substance is placed in that category because of three criteria: highly abusable (which in my mind, means acutely disabling given a high enough dose), cannot be used safely even under medical supervision, and no known medical utility. The endogenous nature of DMT is a straw man when it comes to discussing Schedule 1 substances. For example, water is endogenous but drinking too much water can kill you. More salient is the fact that DMT and other Schedule 1 drugs can be used safely under medical supervision and at the very least can shed light on the relationship between pharmacology and consciousness. And, ever-increasing amounts of data suggest that there are therapeutic uses to which the psychedelic drug effect can be turned. So, two of the three criteria no longer, strictly speaking, hold. At some point, it makes sense to place these substances into an intermediary schedule between 1 and 2. Luke Sumpter: Hypothetically speaking, how do you envision the role of DMT within the mechanics of a future culture that has embraced it? What kind of role could it potentially play in the arenas of medicine, religion, science and technology? Dr. Strassman: The effects of a fully psychedelic dose of DMT are extraordinarily difficult to understand and integrate into everyday life. It is certainly not for everybody, and may not be for very many people at all. I do not think that we have as yet a suitable Western context within which to fully comprehend the full range of the psychedelic experience, DMT included. The DMT state is highly dualistic, interactive, and relational, and the eastern models as well as the mystical Christian and Kabbalistic models do not do justice because of their emphasis on the unitive state of consciousness in which one’s individuality is abolished in the primary emphasis is on the formless white light. Besides, most of us live in the relative world most of the time and we need to master the relationships that we encounter in it, rather than either escape to or use as a fleeting frame of reference for the state of “non-duality. That’s why I like the Hebrew Bible’s model of prophecy: it describes a spiritual experience that is very DMT-like—especially with respect to its interactive relational properties, it posits the existence of the external reality of the spiritual worlds, it is theistic, it is laden with information—especially of a moral and ethical nature—is the building block of Western civilization and one half of the world’s religious sensibilities. All because it’s been misused doesn’t mean that the psychedelic community has to eschew it and pass it over as a candidate by means of which to extract valuable information to help us understand and integrate the psychedelic drug state. I don’t think shamanism is the answer either because of its non-theistic, non-literate, and spiritistic foundations; in addition, the black magic, spiritual warfare, and entire model of healing and illness seems to be too much of a temptation for our baser instincts. I think we need to make a distinction between the aesthetic qualities of the psychedelic state in the informational content one can extract from it. Too much of the psychedelic experience has been co-opted by hedonism, aesthetics, one-upsmanship, among others. Even the technological advances that have allegedly devolved from highly creative people’s psychedelic drug experiences may not be as much new information being downloaded as much as old information being combined in novel ways. These are important distinctions to make when we consider the optimal use of these substances in the states that they lead us into.